Highly effective learning-progressive schools share two common elements: they operate as high-functioning professional learning communities (PLCs) with well-implemented RTI structures, and they promote student agency in the learning process. 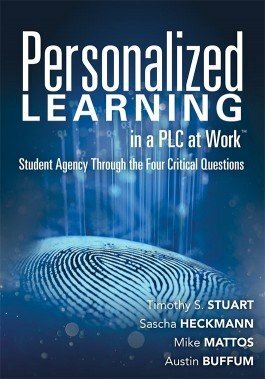 Rely on this resource to help you build a highly effective school where students are engaged in personalized learning experiences and empowered to take ownership of the four critical questions of the PLC at Work™ process. Discover how to use the four critical questions of a PLC to form pathways and progressions for personalized learning in the classroom. Begin the inquiry process through the use of personal reflections provided at the conclusion of each chapter. Understand how the school system has changed over the years and why it is important to address these changes. Explore innovative teaching methods and curriculum-development strategies for achieving different learning outcomes. Learn how schools all over the world have successfully implemented personalized and self-directed learning.